Did Sleepy John inspire Marc Bolan? Did 1930s bluesman Sleepy John Estes influence Tyrannosaurus Rex? Before the electric guitar-boogie pop of Marc Bolan’s T-Rex – the group who started Britain’s early 1970s glam-rock era – some might remember we had the hip underground folk-rock of Bolan’s T-Rex’s forerunner: Tyrannosaurus Rex. Tyrannosaurus Rex was an early hippy-style band whose most interesting record, to me anyway, was the ethereal, almost mystical, “Deborah”. Jesus, I loved that song. First released in 1967, Marc’s quivering vocal was a sound that struck me as totally unique. That’s Marc, below on the right, with his percussionist, Mick Finn, who played with Marc in both bands. Marc Bolan’s band (it was nearly always a duo) before he founded T-Tex, became ‘the bopster‘ and found glitter. But then I heard the celebrated African-American bluesman, Sleepy John Estes, with a track from 37 years earlier. This was “Milk Cow Blues” and, excuse me if this is drawing a very long bow, but Sleepy John’s singing made me think of Marc Bolan’s tremulous “Deborah” vocal. Sleepy John Estes, incidentally, is the guy on the cover of my blues history, “America’s Gift: The Untold Story of How Blues Evolved”. That’s it on the right. Sorry, but I couldn’t resist the plug. Take a listen to both tracks and see what you think. Let’s start with Sleepy John Estes, a Tennessee singer and guitarist, born 120 years ago in 1899. On mandolin is Sleepy John’s friend from his boyhood home of Brownsville, Tennessee, James ‘Yank’ Rachel, with whom he played for over 50 years. Milk Cow Blues from 1930 by Sleepy John Estes (1899-1977). It’s unclear who actually wrote Milk Cow Blues. The song has certainly been around since about 1920, and is usually credited to the great slide player, James ‘Kokomo’ Arnold, who released his version in 1934. But, as you’ve just heard, Sleepy John recorded it in 1930. The track has since been recorded by everyone from Robert Johnson (who changed the title to “Milk Calf’s Blues” which Eric Clapton covered), to the Kinks (who credited the song to Sleepy John Estes), to Aerosmith and Willie Nelson. Elvis Presley cut a rockabilly version at Sun Studios in 1954 which they called “Milkcow Blues Boogie”. Tyrannosaurus Rex’s “Deborah” hasn’t got the same pedigree as “Milk Cow Blues”; but if you haven’t heard “Deborah”, it’s worth a listen here. 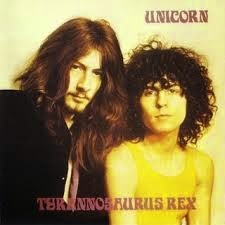 If only to hear the trippy, cosmic, fantasy-driven sounds of early British hippydom, of which Bolan was a guru. And to see if you think Marc Bolan was inspired by Sleepy John Estes. Deborah by Marc Bolan’s Tyrannosaurus Rex (not T-Rex as described in the video below). Now, how about this for some pioneering English blues-rock? The Kinks from 1965 with their version of Milk Cow Blues. Marc Bolan’s music to this recording of Milk Cow Blue’s by S.J.E. Marc’ vocal stylings, also that choppy Syncopated Rhythm Sound, Tone. But is ut si Strange all the Top, and Avant Gaurd English Musicians of the day,were studying, gleaning,emulating, drawing from all periods and Styles from Primative right on up to the Electric Blue’s, Robert Johnson, to Buddy Guy.. and everyone in between. I will confess I heard something else, I thought I heard a small sampling of Bob Dylan’s early Coffee House Sound in there, I could be misstaken.. But I don’t think so..
Johnny Kidd and the Pirates, Britain’s only true rock & roll band in my opinion, recorded a Muddy Waters track as early as 1960, I think it was. This was before the Stones started recording Muddy. The Stones’ version of Little Red Rooster is still the only true blues number to have topped the UK charts.